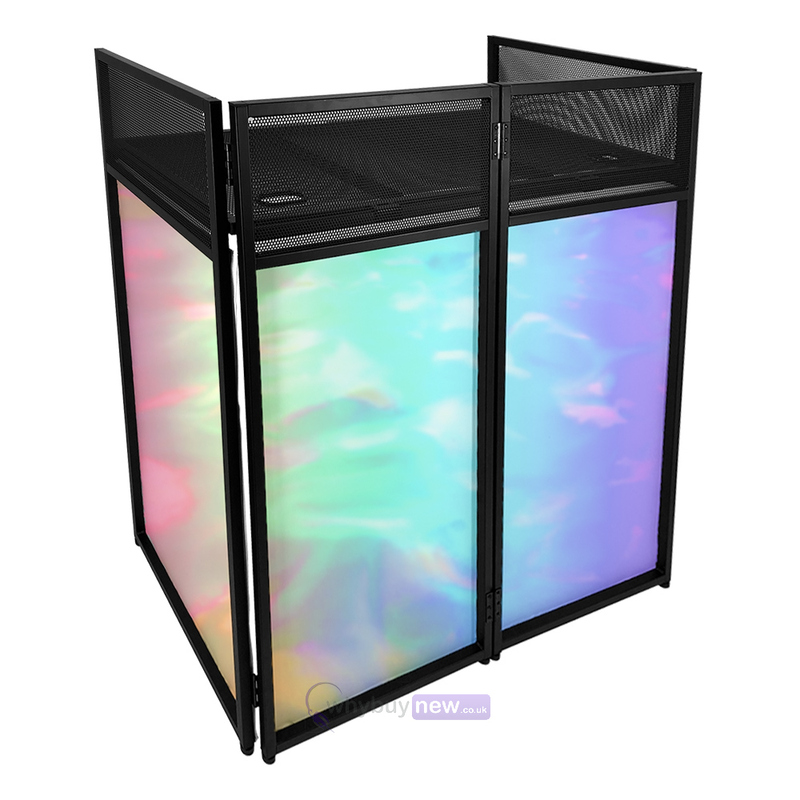 This Gorilla DJ Booth system comes with a white lycra cover which can be lit up from the back with a variety of different lighting effects to create a one-of-a-kind setup and a unique focal point for your setup. 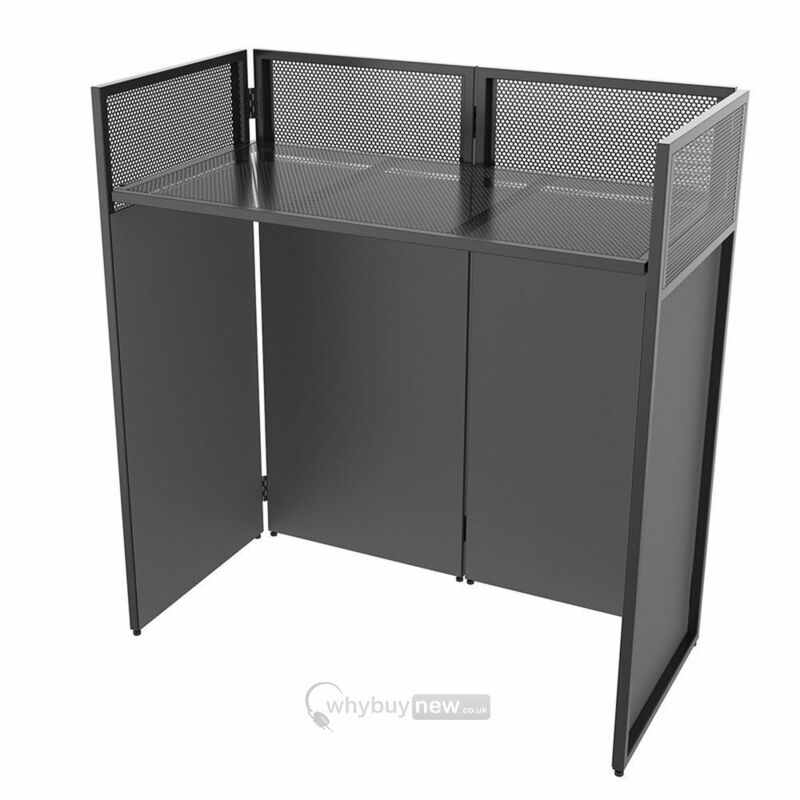 Other features of this innovative stand system include integral support for the vented metal equipment shelf which comes in two sections for portability. 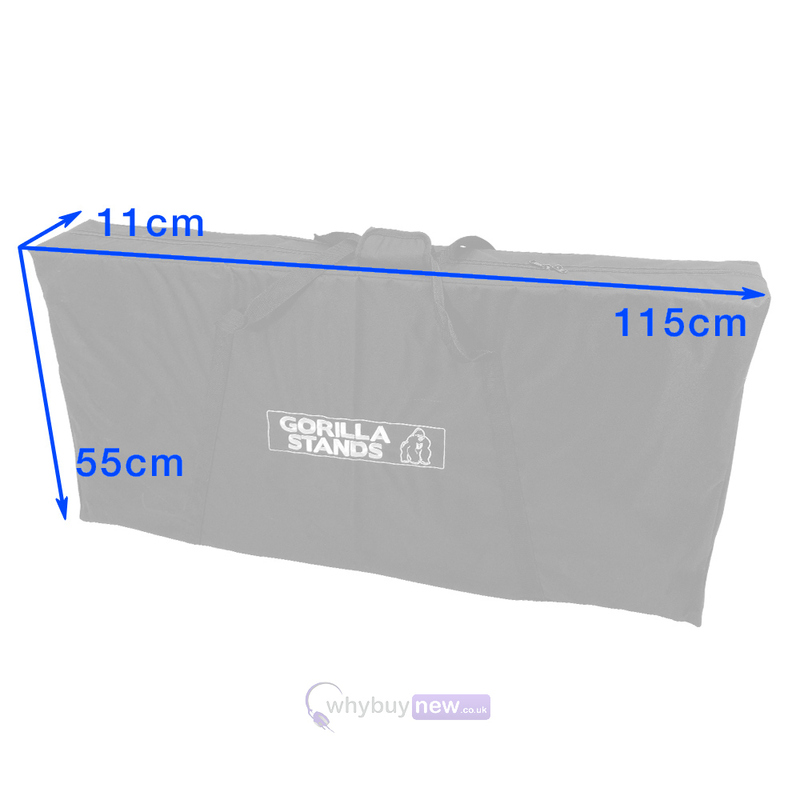 A free carry bag is also included for easy transportation of the Gorilla DJ Booth DBS-LITE System to-and-from gigs. Any DJ will tell you that every gig is different and it is important to adapt to your environment. 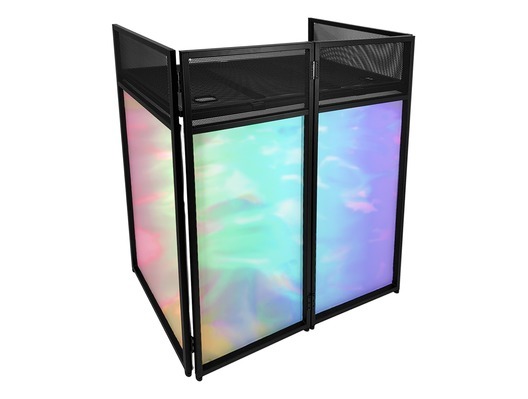 Luckily, this Gorilla DJ booth system is as versatile as you are and can be adapted to suit any event. The included white covering can be back-lit with LED cans or bars for subtle, solid colours, with single or multiple effects for a dynamic, eye-catching display or why not experiment with lasers, projection or other effects for a totally unique, high-impact appearance. 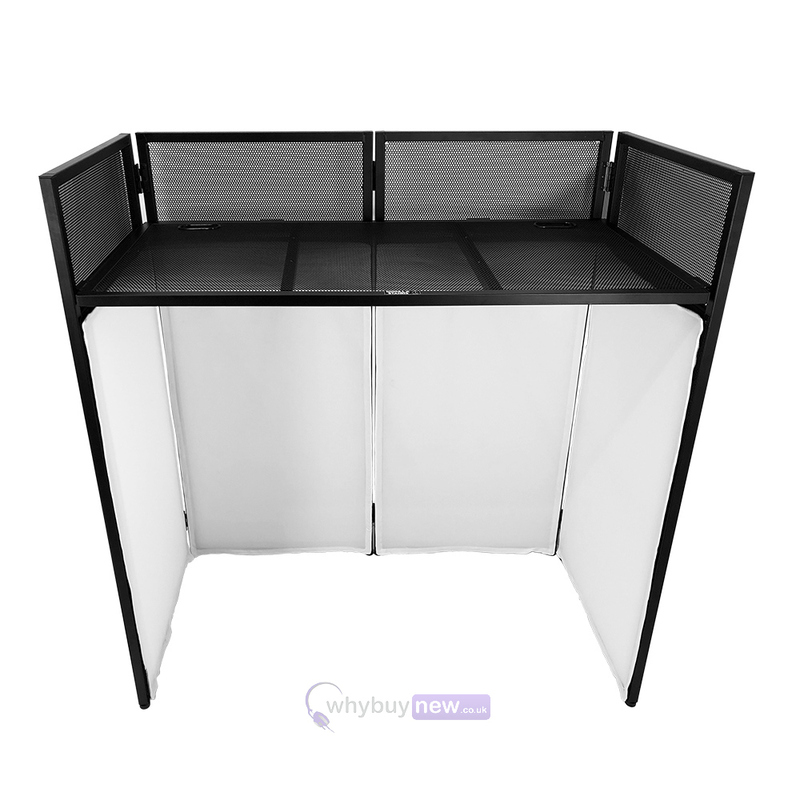 This great looking DJ booth is also popular for home DJ's as it fits a pair of Pioneer CDJ2000NXS2's and DJM900 perfectly! 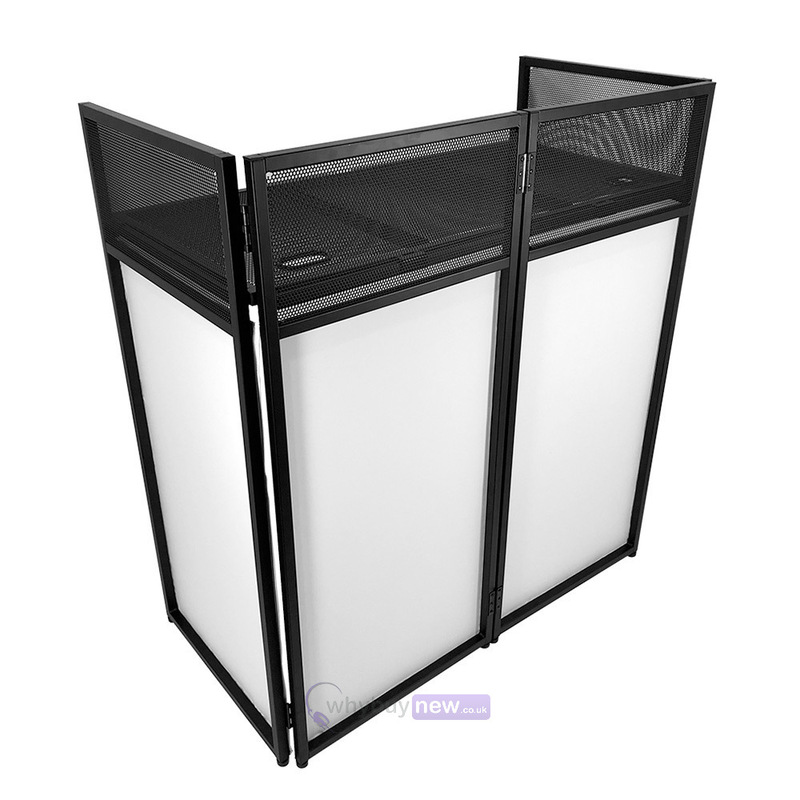 Here we have the Gorilla DBS Lite DJ Mobile Disco Booth System in brand new condition and in B-Stock. 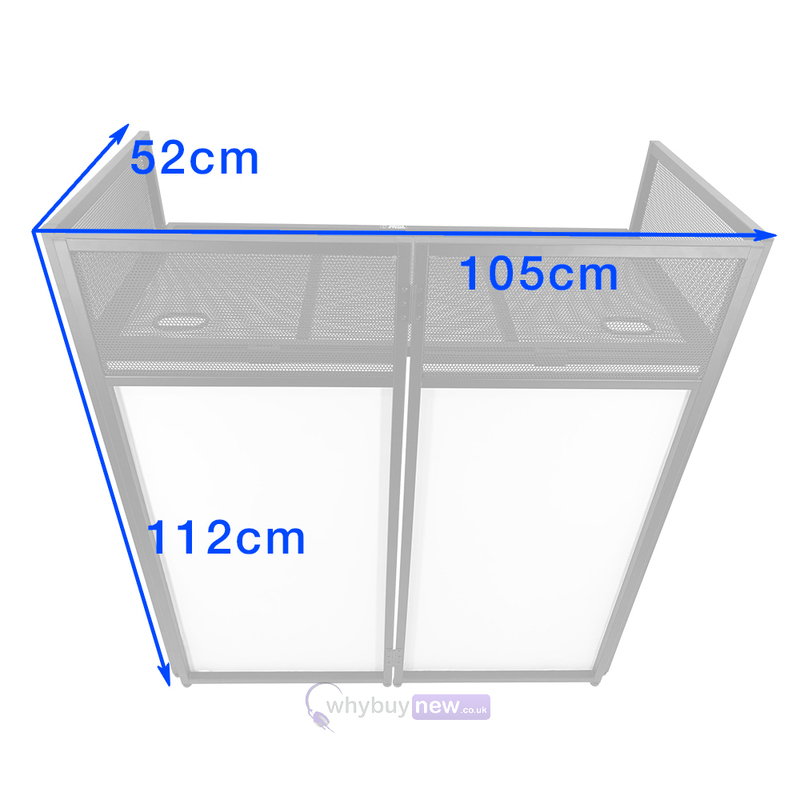 The B-Stock versions would have been on display at a training evening or trade exhibition only and will come boxed in good cosmetic condition (with a few small marks and scratches) with all accessories and a 1-year warranty. Great booth, if you are prepared and keep the lycra attached it literally takes 30 seconds to pop up the booth from zipped up in the bag! Great for on the road and djs of all abilities! great little stand and easy to set up. the carry bag for it however is not great the zip went the first time i used it ! !